Scubapro is one of the oldest and most respected brands in recreational diving, and it’s rare for one of its products not to impress. In the case of the Go Travel fins, however, the copy-writers need to take the product under water, as I did, before recommending them for serious scuba-diving. Even so, adjust your expectations to snorkelling or try-dives and they’re a different prospect, and these are the markets at which I believe Scubapro should be targeting the Go Travels. The Go Travel fins have been made short to fit into an IATA-specification carry-on bag, and they’re light too, as little as 1kg a pair. These are their real selling points. 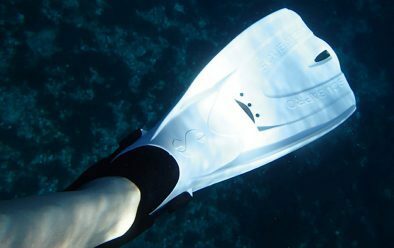 The problem facing Scubapro was how to manufacture a fin that could propel a scuba-diver through the water efficiently using such a small blade. White Go Travel fins are ideal for white-balancing. Fins, of course, come in a range of styles to fit the general needs of casual divers through to the highly specialised demands of dedicated technical divers and freedivers. But ultimately, however hi-tec the design and materials are, the fin remains human-powered. For swimming under water, you need a bigger foot. 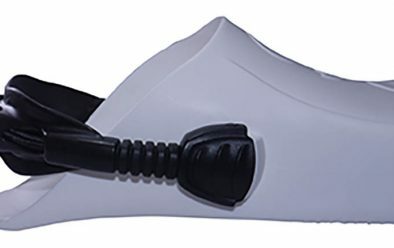 And that’s all a fin is – a foot-enlarger with which you can paddle better. The fins are moulded from a single piece of Monoprene, so with no joins there is nothing to split or delaminate. The material provides rigidity in areas such as the soles of the foot-pocket, which provides the purchase to kick, and along the side-ribs that direct the water along the blade and stabilise it. It also supplies varying amounts of flexibility, so that the blade can progressively flex along its length and breadth to scoop the water and create propulsion. A nice touch is provision of bungee-straps with swivel buckles and oversized thumb-loops. These make the fins easy to don and doff, especially when holding one-handed onto a ladder in a swell. The loops can also be used to hang the fins from a BC clip for walking around the dive-site, and are also great for rental-locker stowage. 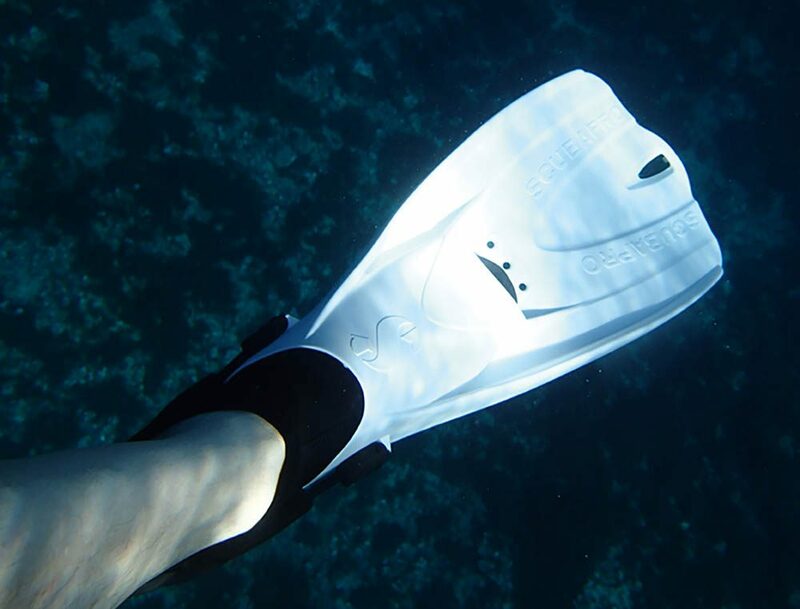 Usefully, the fin-size marking is visible inside the foot-pocket, allowing dive-centre staff to view it easily. The fins also have a slot at the end of the blade, supposedly so that you can clip them together at the bottom, securing them by lashing them together at the heel and passing one bungee over both fins. I didn’t think the idea worked, but the slot provides another useful hang-point. The Go Travel is available in different colours, allowing sizes to be colour-coded for schools use. I chose white because it makes it easy to white-balance a camera, leaving your hands free to operate the WB controls. I spent quite a bit of time snorkelling in Charco del Palo on Lanzarote while wearing the fins. A natural sea pool there has a narrow channel at high tide through which the waves backwash, creating a powerful but short-lived rip that effortlessly carries you out into the Atlantic Ocean. Once before I had surged out to find myself caught in a strong longshore current that carried me swiftly along the coast. My snorkelling split-fins, which had been fine in a swimming pool, now showed their inadequacies as I fought to return to the safety of land. Never one to miss the chance to repeat a mistake, I took the Go Travels back into this proving ground. I found on that dive and subsequent ones in mild current and a bit of surface chop that they worked very well. Nor could I fault them for getting me down to 9 or 10m and back. I love snorkelling, and Lanzarote is a favourite chilling destination for me. That a pair of these fins means that I can pack a complete snorkelling set, underwater camera and a few clothes into a small rucksack and travel with just hand-luggage is hugely attractive. I also hooked them onto the side of my camera bag for a trip to the tiny Canarian island of La Graciosa, along with a snorkel, mask and roll-up Red Original microfibre towel and flask to hike along the shoreline in search of snorkelling sites. Again, these lightweight fins encourage this kind of self-contained rambling. Scuba-diving was a different matter. Native Diving at Costa Teguise was hosting my visit, and I grabbed a scuba-set and crossed the road from the dive-centre to test the fins in the adjacent lagoon. There was no current. Certainly you can move forward in the Go Travels, but it’s going to be a slow dive. Hit current, such as in the Maldives, and you and the Gos will, I think, be going backwards. And I would not want to attempt a rescue lift or tow of a fully equipped diver in these fins. The fault, in my opinion, is not in the product, only in the expectation management. 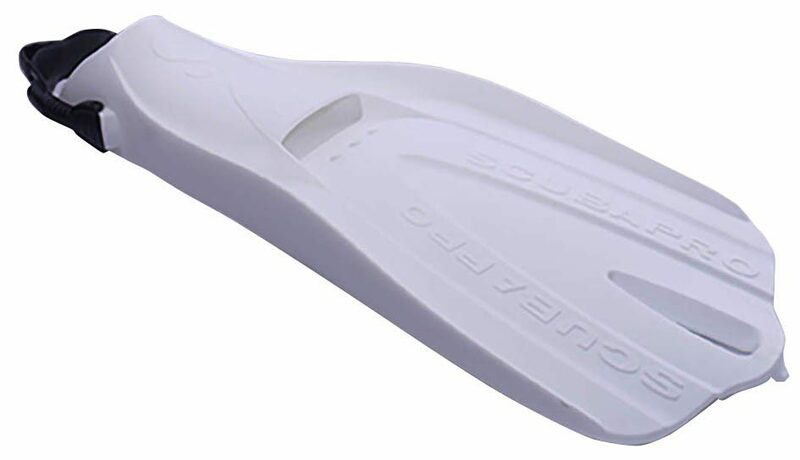 Scubapro offers a range of fins much more appropriate to scuba-diving but, of course, they are larger and heavier. Making fins small, light and efficient is not a circle that is easily squared with a conventional fin design. So, for casual snorkelling I happily recommend the Go Travels, but for scuba-diving I would look elsewhere in Scubapro’s fin range.